Karin Elouis Margareta Reutersward Allan of Baldwinsville, NY gained her angel wings and passed away peacefully in her home. She was friends to many and a mother to all. She is the loving daughter of the late Mr.&Mrs. Patrick Carl Reutersward Reinhold and was born in Stockholm, Sweden. She adored spending time with her loving son and sharing life stories. She traveled the world and couldn’t wait to share her many stories of her international travel and her love of the Eastern Asian Culture. She absolutely enjoyed crossword puzzles and Sodoku, but she was most proud of her son. She couldn’t get enough of his cooking especially his famous Pork Tenderloin. She was a cherished mother by many, who were blessed to have learned many life lessons from Karin. She was a loving homemaker and amazing mother to her son. She enjoyed time with her sons, friends and gave nicknames to everyone of them. She was also predeceased by her husband, James Lawerence Allan in 1999. 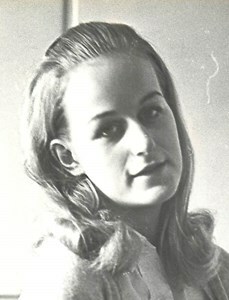 Karin is survived by her son, James Patrik Reinhold Allan of Baldwinsville, NY. Karin and James were each others biggest fans and had an unbreakable bond and many memories a mother and son could have. In our hearts, you shall be in our dreams. We shall see your presence, your name in our hearts you shall remain. Services to follow at a later date. To share a memory of Karin or leave a special message for the family, please click the Share Memories button above. Add your memories to the guest book of Karin Allan.